A malfunctioning garage door opener is a safety hazard. Properly repairing or replacing it requires specific knowledge and skill. Our certified technicians are educated in the field and have years of hands-on experience. That means we can get the job done right while offering you the best repair, quality parts, and expert installation. We repair and install all major brands of garage door openers. Call today to see how our garage door opener repair services can keep your garage door running smooth for years to come. 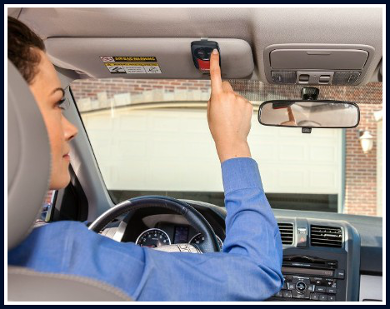 Do you know how to use your garage door and garage door opener safely? Even if you think you do, you may want to take a few minutes to read the International Door Association’s top 10 tips on how to keep you and your loved ones knowledgeable about garage door safety. These tips will help you learn how to use your garage door in a safe manner. If you find yourself questioning the safety of your door or the motor, just give us a call. We’ll send out a certified technician to inspect and make same-day repairs as needed to get your garage door opener up to par. 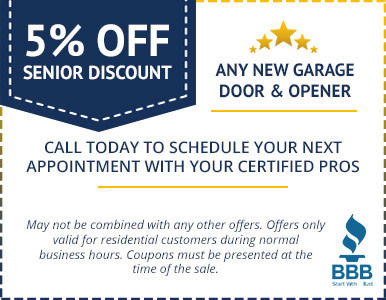 We can’t say it enough: the best way to prevent unexpected garage door opener repairs is to plan ahead! An annual preventative inspection of all moving parts will keep you ahead of any potential issues, preventing unnecessary stress your garage door opener. When garage doors and their components are not properly maintained, the result is usually premature breaks or a need for complete replacement. Investing in our program allows us to work hard so your door parts don’t have to! Take advantage of our preventative maintenance program to extend the life of your residential or commercial garage door while reducing repair costs. Our tradesmen work in the field every day – we know doors! 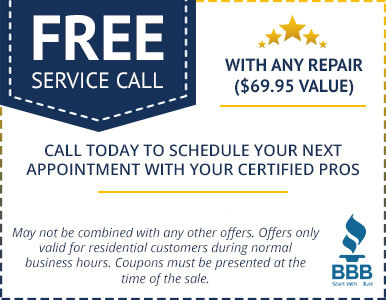 Call today to learn more about our annual garage door preventative maintenance program.